Rosemary Annette Peterson, age 66, of Shell Lake passed away at her home on Sunday, March 31, 2019. Rosemary Maas was born on April 14, 1952 in Faribault, Minnesota to Lawrence and Angeline (Jenson) Maas. She attended Immaculate Conception Grade School, Bethlehem Academy High School, and South Central College, all in Faribault. She married Dennis Peterson on May 5, 1990 in St. Paul, Minnesota. Rosie was a member of Trinity Lutheran Church in Spooner, and was a quilter extraordinaire. Rosie was survived by: her husband, Dennis of Shell Lake, Wisconsin, one son, Jacob Peterson of Shell Lake, Wisconsin, two sisters, Lorraine Sevcik of Faribault, Minnesota, and Carol (Craig) Schoenecker of Lakeville, Minnesota, six nieces; Chris Bauer, Betsy Sevcik, Keri Adams, Angie Callahan, Jessica Gallmeier, and Katie Schoenecker, and two nephews, Trevor Maas, and Matt Schoenecker. She was preceded in death by; her parents, and one brother, Joseph Maas. 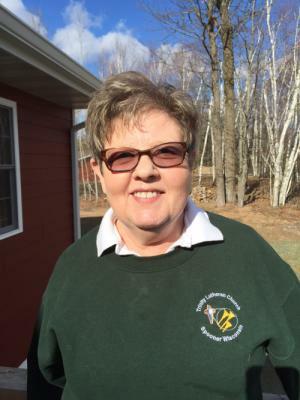 A memorial service for Rosemary will be held on Saturday, April 6, 2019 at 11:00 am at Trinity Lutheran Church in Spooner, Wisconsin. Visitation will be from 10:00 am to 11:00 am at the church.